The sound of bagpipes filled the air, mingling with other sounds in the elven camp. Background noise of people carrying out conversations, other musicians practicing their instruments or singing, rhythmic hammering of the blacksmith, all blending together in a sort of odd harmony that Lexie enjoyed listening to, her fin-like ears twitching a little as she pressed on the bag under her arm and focused on moving her fingers to play the proper notes while watching her breathing and the fullness of the bag so she could pump more air into it as needed and get a feel for the pressure so she didn't push too hard. "Lexie!" Someone called out her name, causing the sea elf to pause for a moment before sighing and giving up her practice in favor of bracing herself as the other came running at her. Arms wrapped around her neck in a happy hug as the cold skin of one who had just been in the water pressed against her mostly bare back. "I heard you're planning to go away!" The voice whined, belonging to another elf just a few years younger than she who had always been somewhat of a little sister. "I am. I just received my letter this morning, I was going to tell you over dinner." Lexie shook her head, wiggling so she could put her bagpipe down and let the younger one climb into her lap to hug her more properly. "But why? And where are you going?" Questions muffled by the face buried in her shoulder, threatening tears. "To a bard's college. I want to learn to play better, and begin building a network I can rely on to help our people. That means jobs so I can bring in coin, and maybe if I'm lucky some other connections that will prove useful to the elders. It's time I did that, I can't sit here forever and keep being useless." Lexie ran a hand through the girl's hair, trying to comfort her. "This is about Mateo, isn't it?" The younger one asked, staring up at Lexie with teary eyes. "I...." Lexie paused a moment, letting her shoulders slump a little. "Yes, in a way. But Sota, you must understand that in a few years you will be expected to do the same. Maybe you won't have to leave, you already help so much with the fishing and gaining a formal apprenticeship with a boat might be your way. I, however, do not love the sea as you do. I find no joy in fishing or swimming beyond what is ingrained in our species. I find it in music, in these worn out and patched up pipes, and I want to chase that dream. Maybe when I come back as well I will have the courage to tell Mateo how I feel, and he will return those feelings for me." 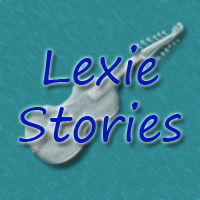 Lexie looked up at the sky, closing her eyes and letting the sounds of the village wash over her. "That's stupid." Sota pouted, still threatening tears. "That's life." Lexie corrected, urging the younger elf off her lap. "Now, run along and find your friends. I need to practice still, the college is expecting that I will have a performance for them so they can judge my potential and I have to leave in a few days." She shooed Sota off, watching her join up with a group of others about her age and run into the camp to play. Lexie found herself staring for a long moment, shaking her head and sending teal strands flying before she replayed the last few notes in her head and went back to practice. There would be time to properly console Sota later, when it was too late for such noise, and time to inform everyone else if word had not already spread in that regard and give proper good-byes. But for now there was still daylight and enough noise that people paid her own addition very little mind so she took advantage of that to keep trying to get her performance down so she could, hopefully, look good for the upcoming interview.